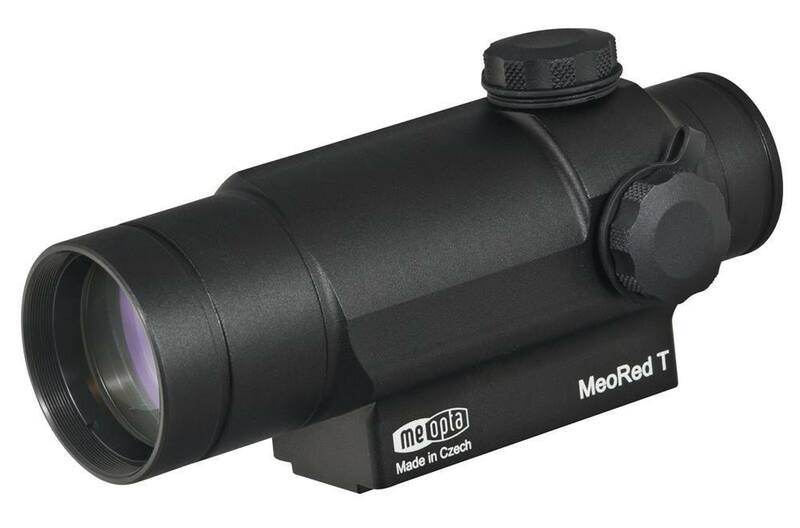 Meopta introduced the MeoRed T red dot reflex sight. It offers outstanding optical clarity in combination with unlimited eye relief to provide fast and accurate target acquisition in any environment. Red dot reflex sights are one of the most popular optic types for today’s sporting rifles. The Meopta MeoRed T is one of the latest offerings for this market. It is designed rugged and durable to provide a dependable sight for the MSR/AR platforms. The sight is designed so you can combine it with various night vision optics and magnifiers to make it one of the most versatile offerings you can get today. The housing is machined from a single piece of aluminum alloy. It offers a 30 mm objective diameter and has a fixed magnification of 1x. It features a 1.5 MOA illuminated red dot reticle and has 12 intensity/brightness settings. This provides a great sight for pretty much any light conditions including modes for night-vision scenarios! The sight furthermore features Meopta’s proprietary MeoBright multiple lens coatings. These are designed to eliminate any glare and reflections. In addition, they also repel dust, oil, moisture and dirt. Yet, the coatings deliver a 99.7 percent light transmission for each lens surface. While optical clarity and performance are important, it is equally important that the sight is build sturdy and rugged. And the MeoRed T delivers on this equally as good as on the optical side. The sight is designed to withstand recoil and shock forces of up to 500 G. Being made from a single piece of aluminum alloy with the necessary sealants ensures that the sight can withstand water penetration for up to 2 hours in a depth of up to two meters. The sight’s operations temperature range is between -40 and 140 degrees Fahrenheit. The red dot is powered by an AA battery which is commonly available everywhere. The battery life is a good 2,000 hours when used at its mid-level brightness settings. If the sight is inactive for 8 hours the MeoRed T powers itself off to conserve battery. The sight offers windage and elevation adjustments. Both have an adjustment range of up to 80 MOA. The settings can be adjusted in increments of ½ MOA. The physical dimensions of the scope show that it is built very compact. It weighs 8.82 oz. The length is 4.84 inches with a height of 2.32 inches and a width of 2.64 inches. The objective and eyepiece additionally have threadings to connect to night-vision optics and magnifiers. The objective filter thread is a M34x.05mm and the eyepiece filter thread is a M27x.05mm.